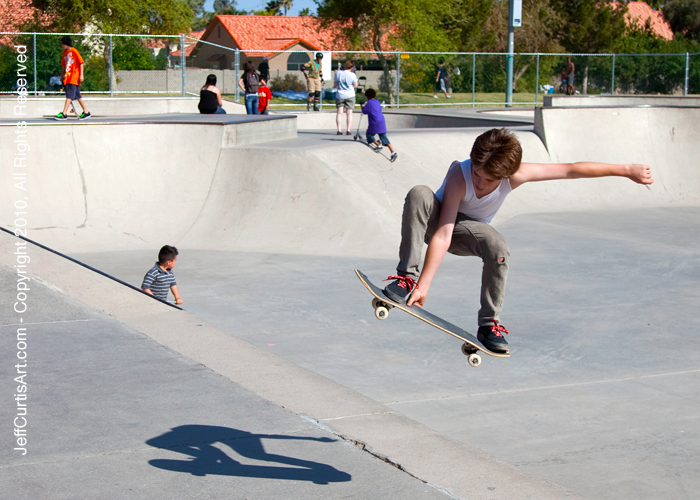 Artist Jeff Curtis, Canon EOS-5d Mark II, Photo at Freestone Park: Skateboard jump. 4-4-2010: Another shot with my Canon EOS-5D Mark II. Tony: Easter Sunday at Freestone Skate Park in Gilbert Arizona.